5 © Crown copyright 2011, Department for Education. 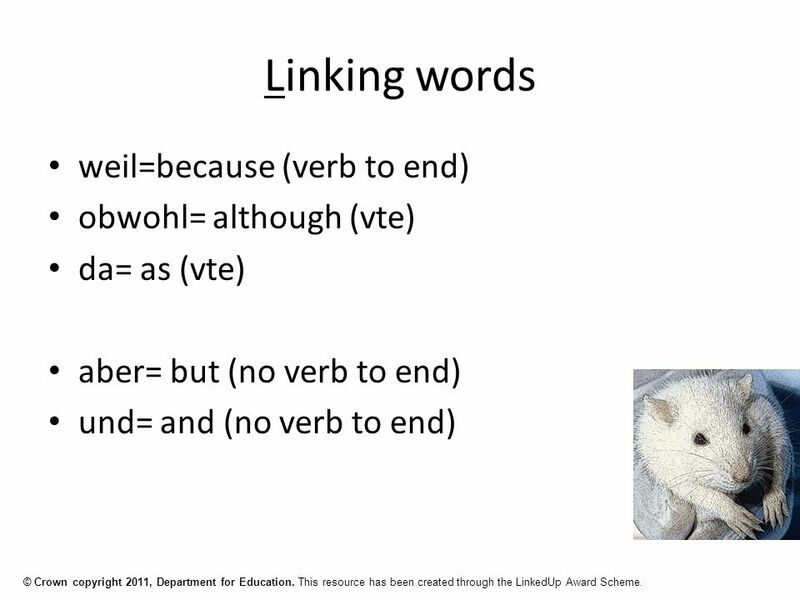 This resource has been created through the LinkedUp Award Scheme. 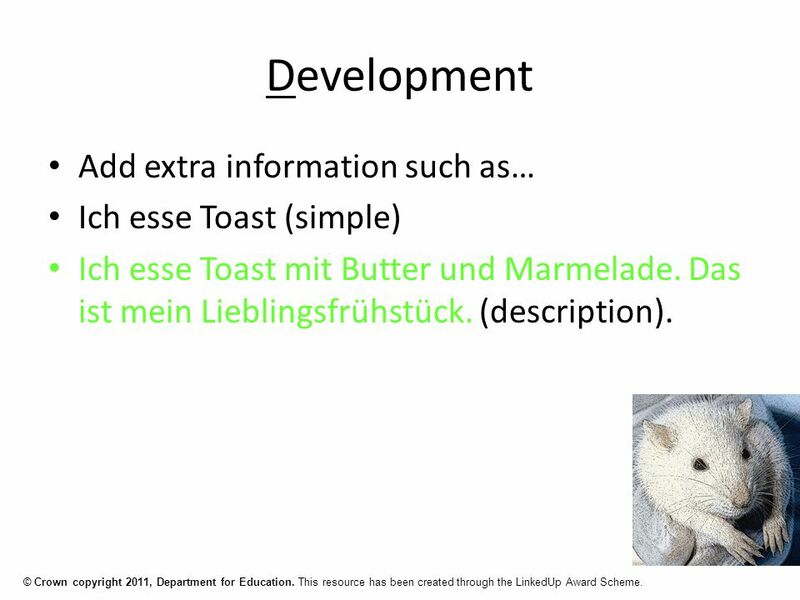 Development Add extra information such as… Ich esse Toast (simple) Ich esse Toast mit Butter und Marmelade. Das ist mein Lieblingsfrühstück. (description). 6 © Crown copyright 2011, Department for Education. This resource has been created through the LinkedUp Award Scheme. Reasons Ich esse gern Obst, da es sehr gesund ist. Ich werde mehr Sport treiben, weil ich unfit bin. Rauchen ist ungesund, weil es Lungenkrebs verursachen kann. 7 © Crown copyright 2011, Department for Education. This resource has been created through the LinkedUp Award Scheme. 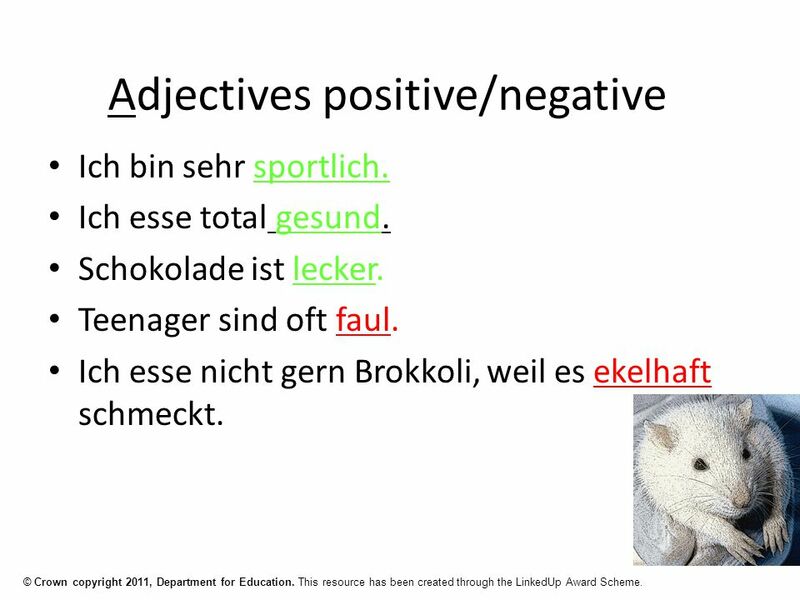 Adjectives positive/negative Ich bin sehr sportlich. Ich esse total gesund. Schokolade ist lecker. Teenager sind oft faul. Ich esse nicht gern Brokkoli, weil es ekelhaft schmeckt. 8 © Crown copyright 2011, Department for Education. 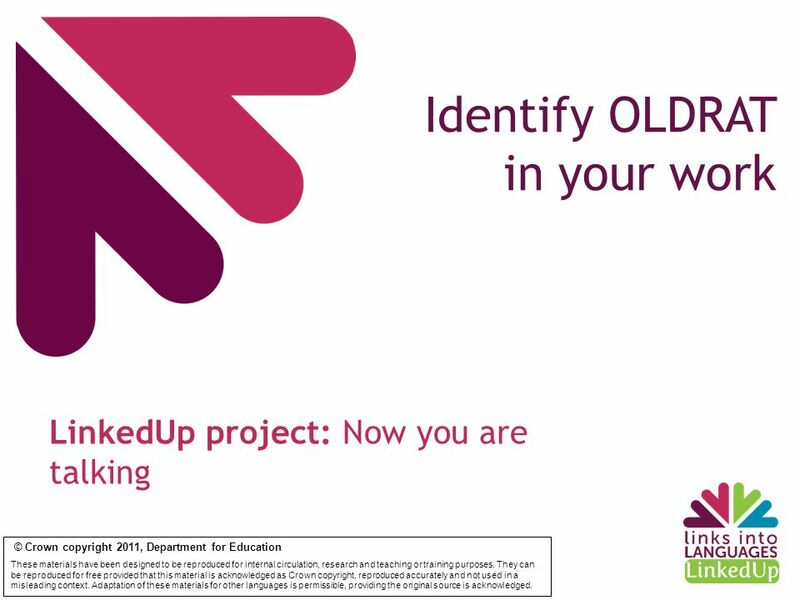 This resource has been created through the LinkedUp Award Scheme. 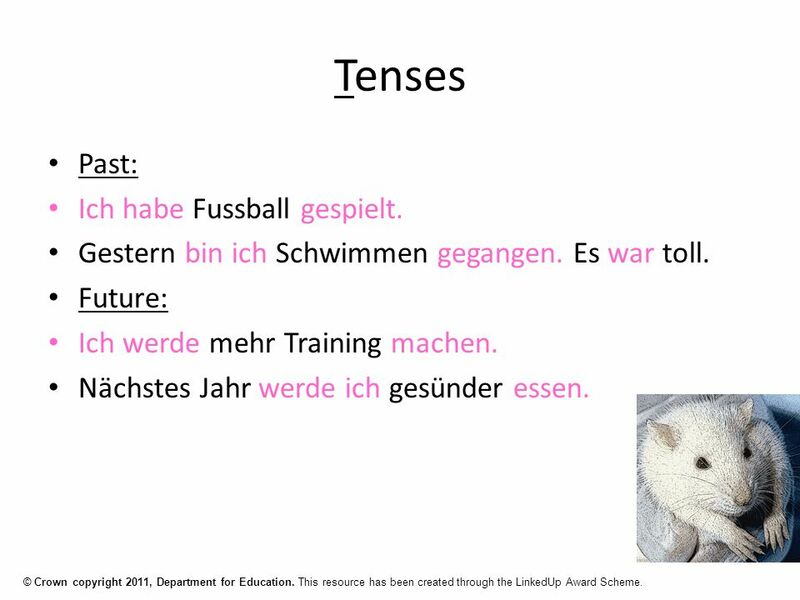 Tenses Past: Ich habe Fussball gespielt. Gestern bin ich Schwimmen gegangen. Es war toll. 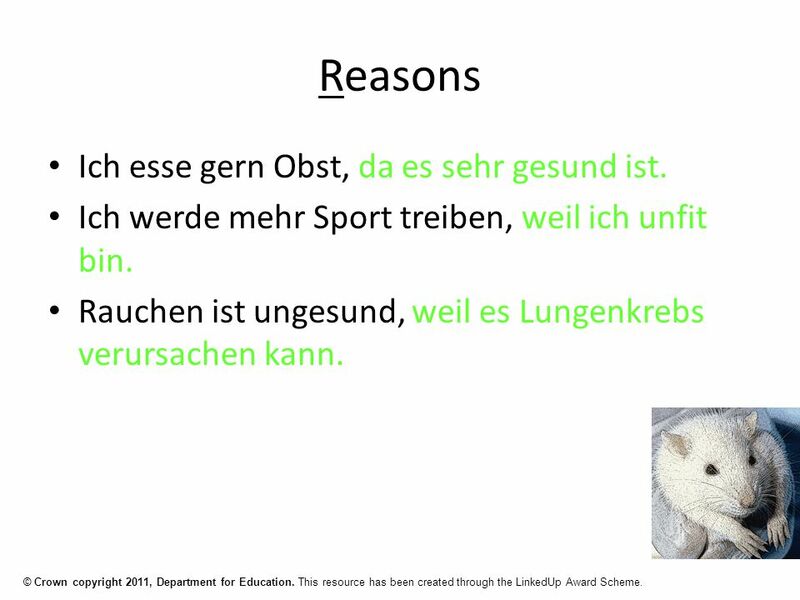 Future: Ich werde mehr Training machen. Nächstes Jahr werde ich gesünder essen. 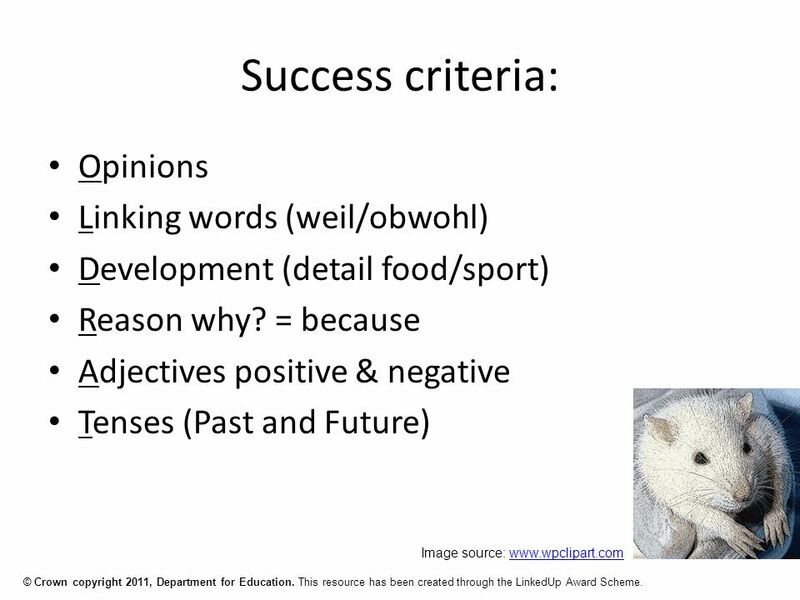 Written controlled assessment Minimum 150 words Imagine you have just spent a week in the jungle and are writing your first blog now that youve returned. Die Zukunft! 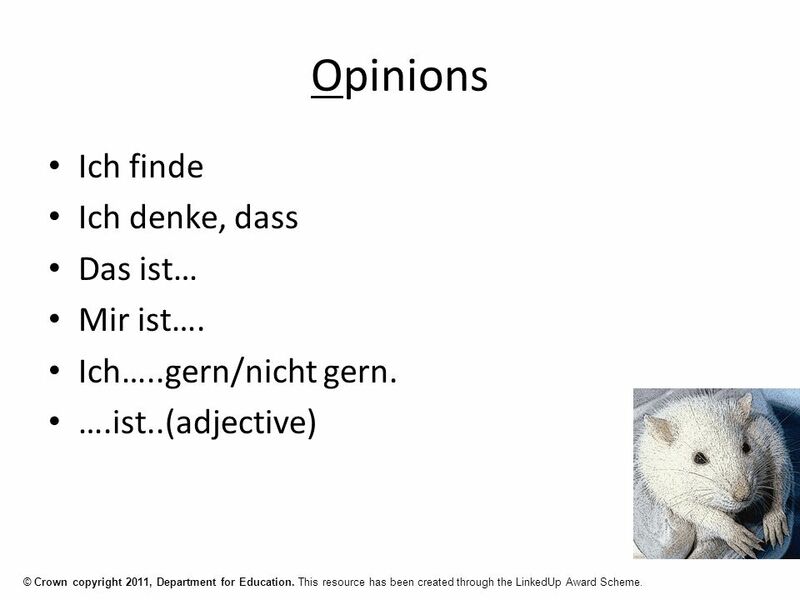 Lernziel: To be able to use the future tense to talk about plans for the future.